Feel free to browse our course catalog to see what we plan on offering. If you have any suggestions for future course offerings please let us know. We look forward to elevating your business soon! Work Smarter. Maximize Income. Master Your Craft. The Most Popular Courses Being Engaged by Roofers Across the Country Today! Bring the Future of e-learning to Your Home or Office Today! 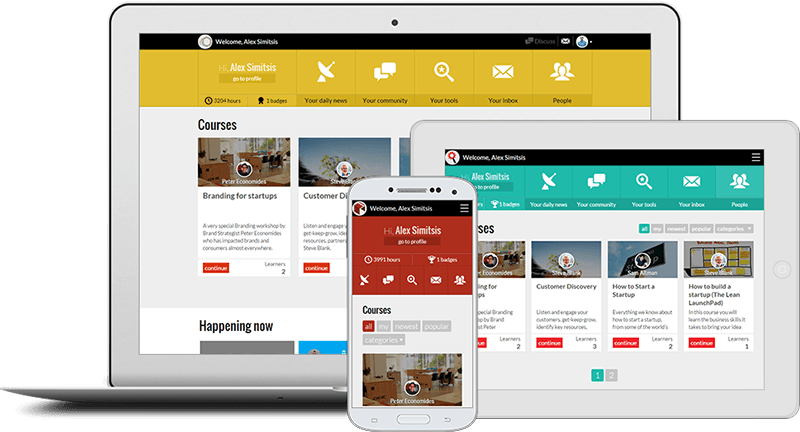 !Our platform provides enjoyable, engaging and interactive online learning right from your home or office. Join Roofer 2 Roofer today and see why we are becoming the #1 Roofing Academy in the country! Become a Vital Member of Our Expert Roofing Community! Roofer 2 Roofer Comes from the Vision of Wade Baughn to Bring Together Roofing Industry Experts from Across the Country to Share Their Knowledge with the World! Wade brings a unique perspective. Here is your chance to build what could be one of the most lucrative business relationships ever. I have seen first hand how a small Wad-ism has pushed a stalled project through approval, and how that has added to an owners bottom line. Among those who know Wade well, he is often referred to as "The Thinker". He as an unbelievable ability to think outside the box, but do so in a way that actually works. Lots of people have great ideas, very few also implement them successfully. Wade Baughn in one of the good guys and I am better off to know him and call him a colleague and friend. Every interaction with him has been educational, enlightening, and entertaining to say the least. Wade brings his story and knowledge with a charisma that is unsurpassed. Subscribe to our Newsletter for latest roofing industry news and updates.